← First Heirloom of the Season! Joe has always liked to “help” in the kitchen…ever since he could army crawl and get into cabinets and drawers. 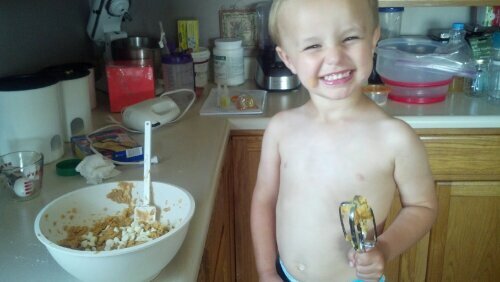 So I like to do kid friendly recipes with him. Recipes that I can use to teach measurements and combining ingredients. Here is a kid friendly recipe for cookies we made. 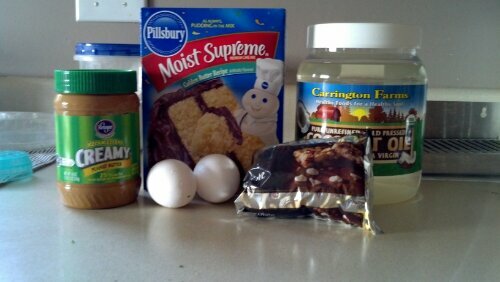 Mix all together, add chocolate chips last. Bake at 350 for 8-10 minutes. Remove from oven, let cool and enjoy with a glass of milk. This entry was posted in Food, For the Kids. Bookmark the permalink.